I just recently posted about Ecover dishwasher tabs and mentioned our cheap old Maytag dishwasher. Well… it had a good life, but recently started acting up and we chose to replace it with a brand new Bosch 800 Series dishwasher . I never really loved the Maytag, but with all the negative reviews you find online it was a little terrifying to pick out a replacement. 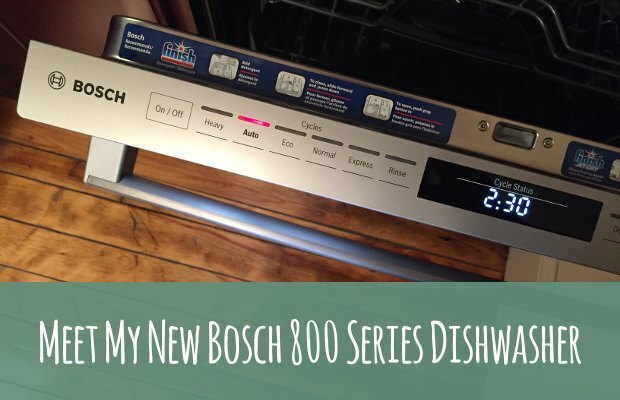 Nonetheless I decided to go with the Bosch since as you might know I tend to prefer European appliances, and here are my first impressions.